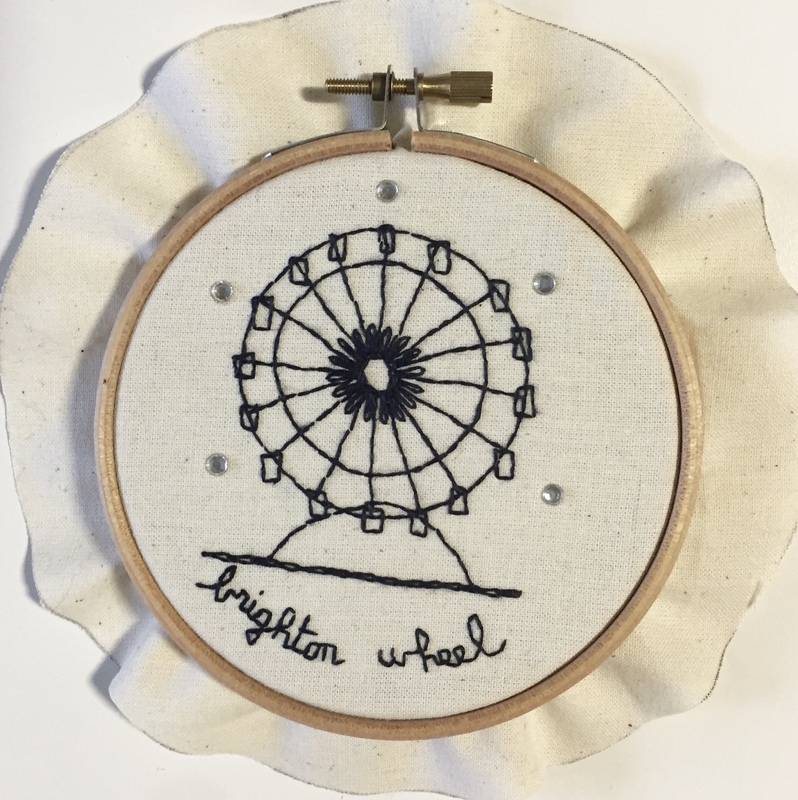 A lovely way to display your embroideries is to simply frame them in an embroidery hoop. This way you can hang them on a wall and fully enjoy all the work you patiently achieve. That s also a nice way to finish an embroidery you are planning to gift someone with. 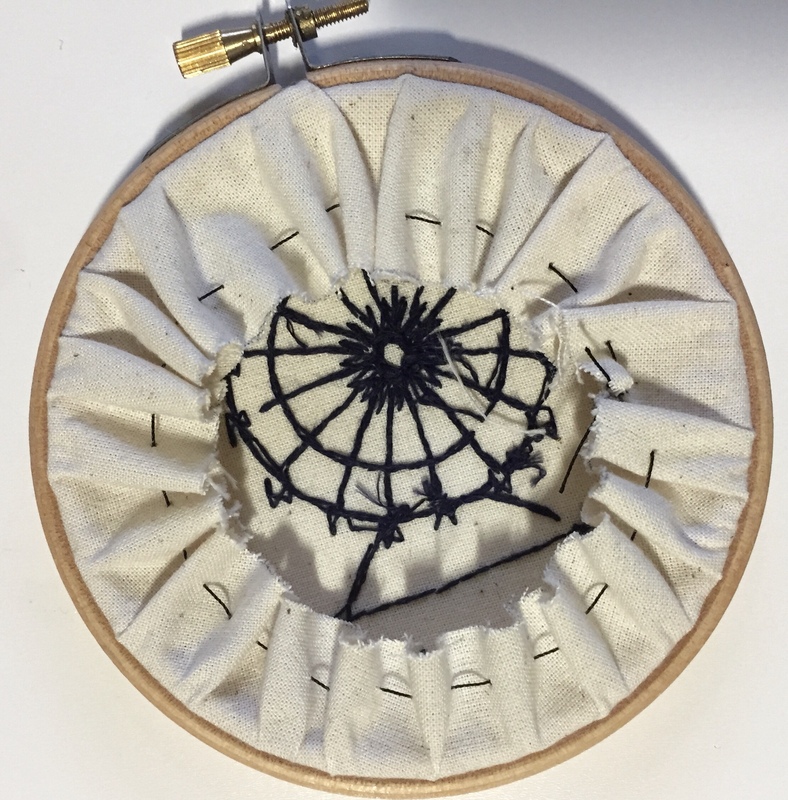 There are many ways to finish the back of your embroidery; some people trim the fabric and glue it to the back of the hoop, I prefer a more traditional, while being easy and quick, method. The back of your embroidery is gonna look like that, with lovely ruffles! 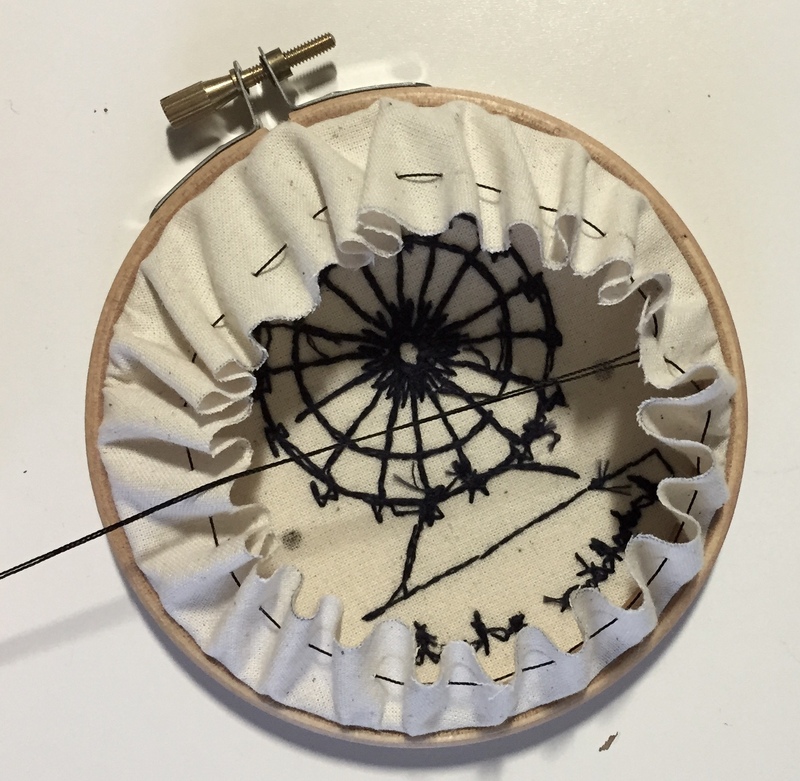 Once you have finished your embroidery just trim the fabric into a circular shape. I like to leave an excess of approximatively 1/3 of the diametre of the hoop all around. Use a strong thread and sew a running stitch all around the fabric, 1/2 inch from the edge of the fabric. Pick up both thread ends and pull GENTLY, you will see ruffles appearing. The back of the embroidery will totally ruffle and lay almost flat. You can now tie a tight knot, and you re done! 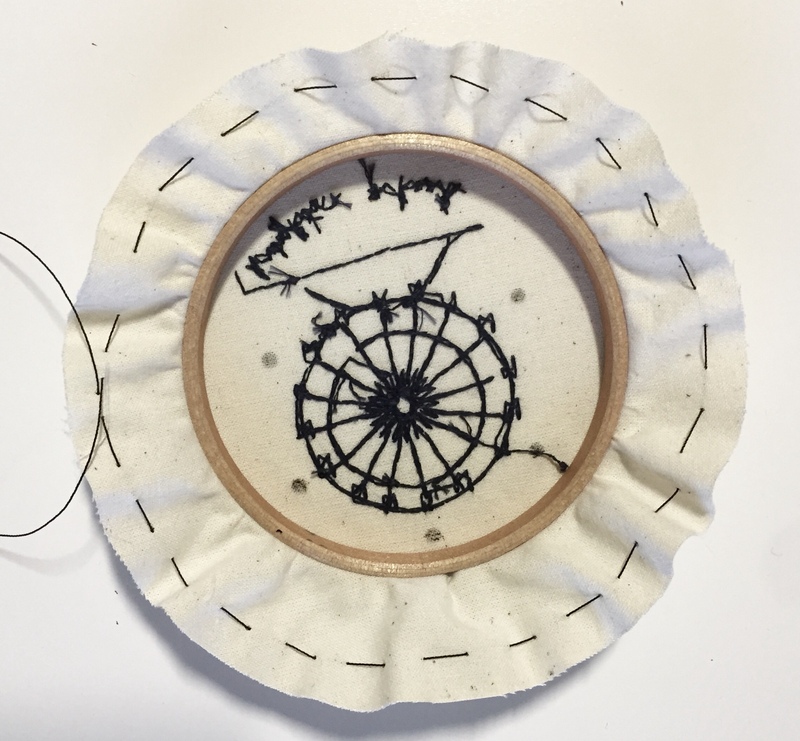 For an even nicer finish you can cut a felt circle, a bit smaller than the embroidery hoop. 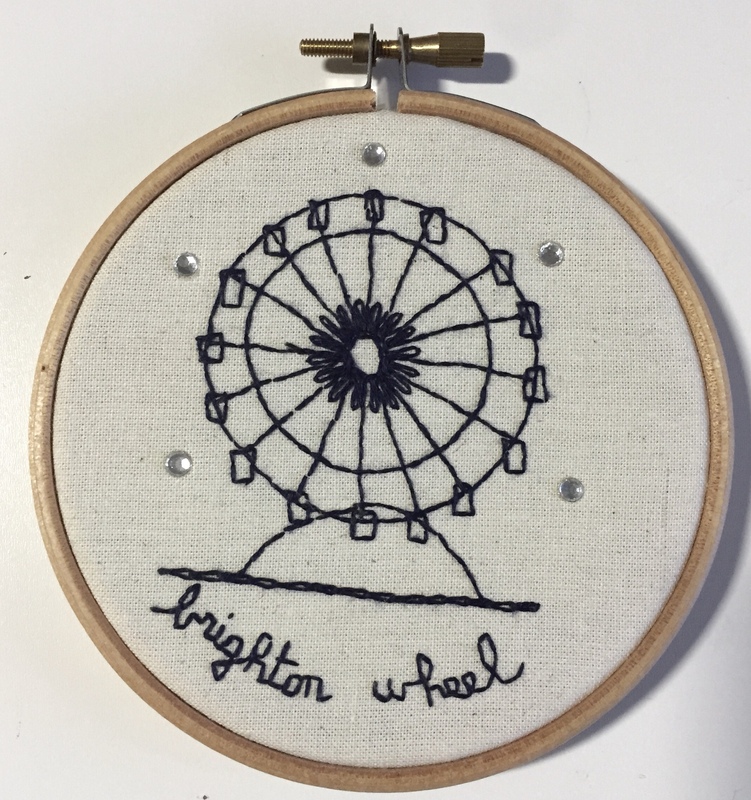 And sew it to the back of the embroidery using a blanket stitch.It can also be used to write your name or any message …..